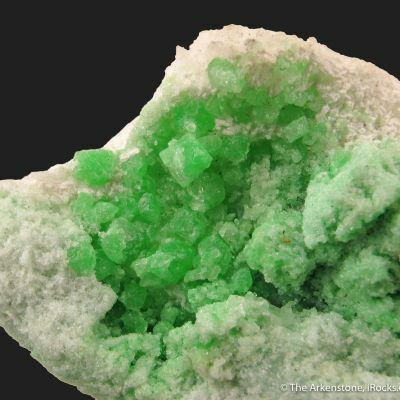 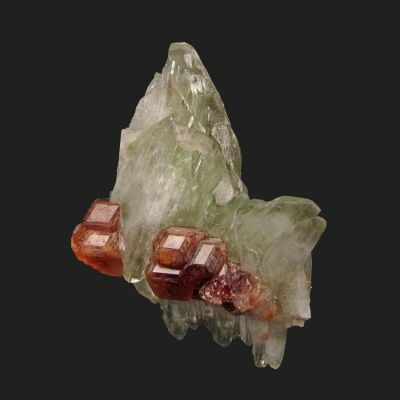 A superb example of a seldom-seen classic; an old-time specimen of lustrous, emerald-green Chrome Diopside crystals in reddish, silver-white Cobaltite matrix from the well-known Outokumpu area of Finland. 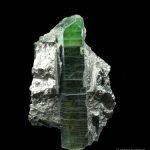 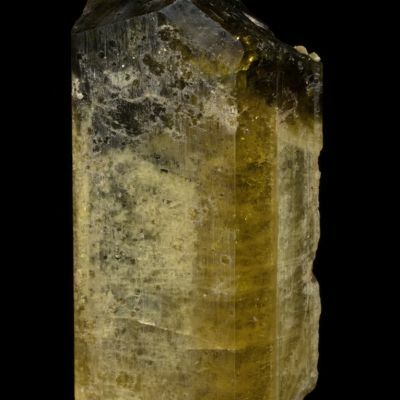 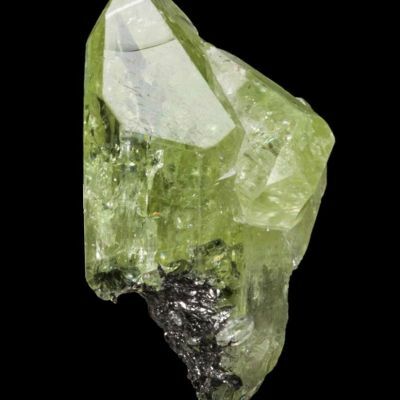 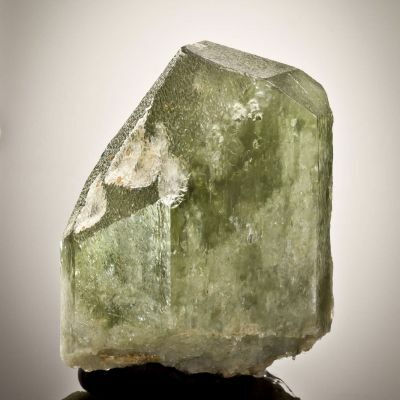 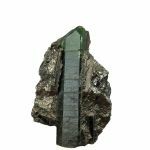 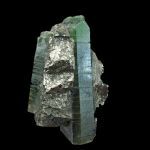 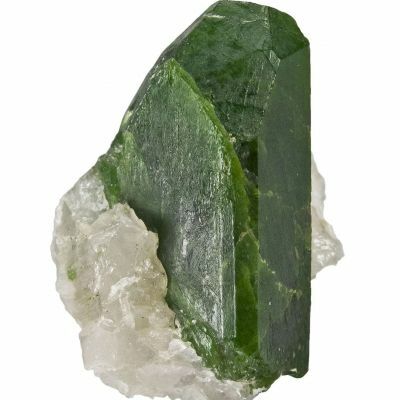 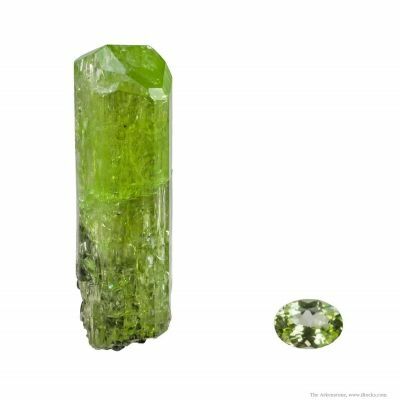 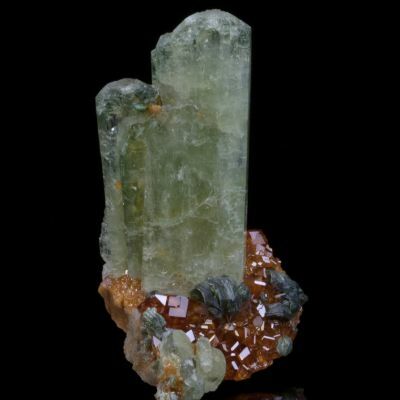 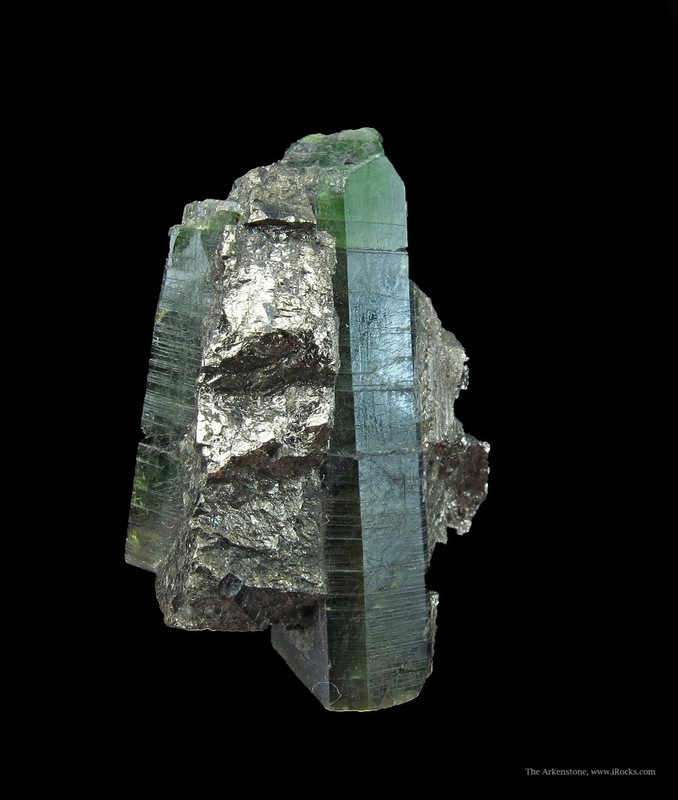 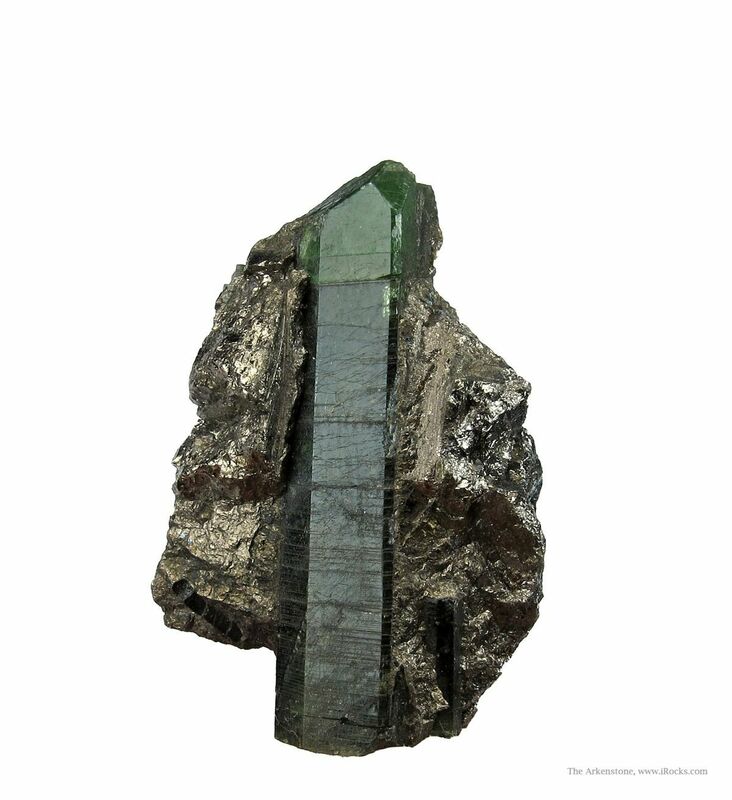 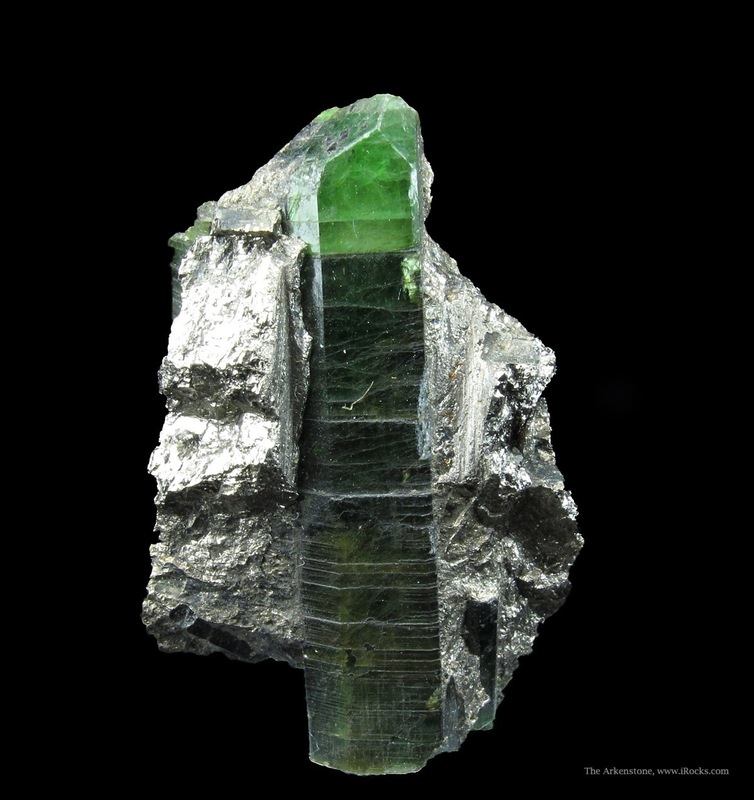 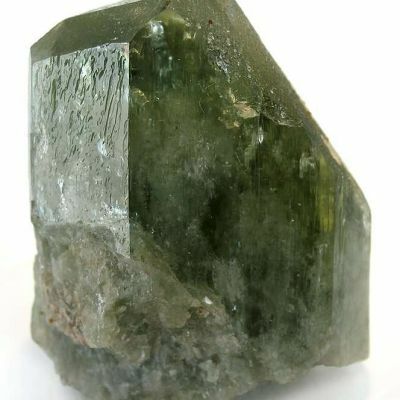 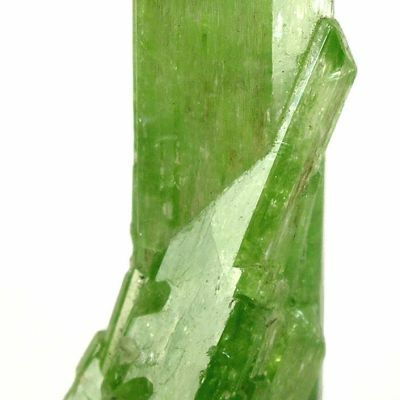 Well-representative for the species and location, the main crystal is prismatic, euhedral, and a translucent deep green. 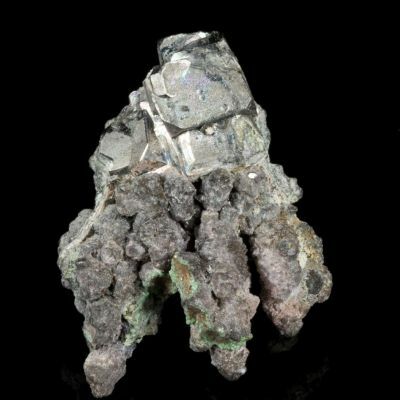 It is 3.2 cm long. 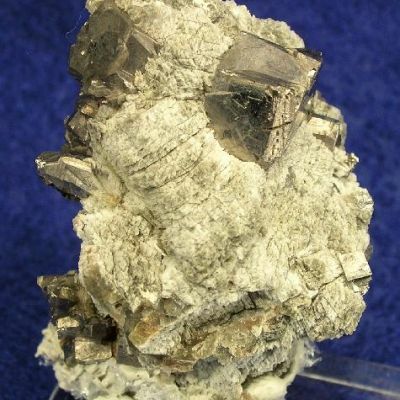 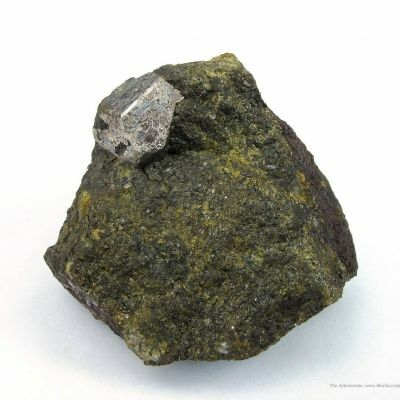 This is the locality known for Uvarovite Garnet, but at the same time it was also an important locality for early study of many species of more common minerals, such as Diopside, in crystalline form. 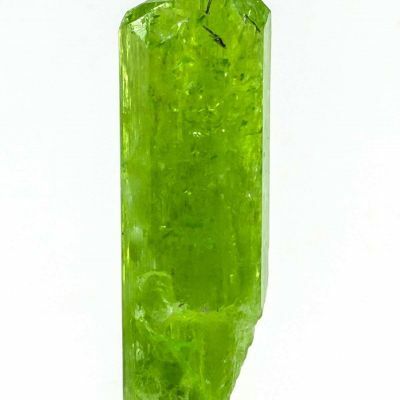 Good aesthetics and quality. 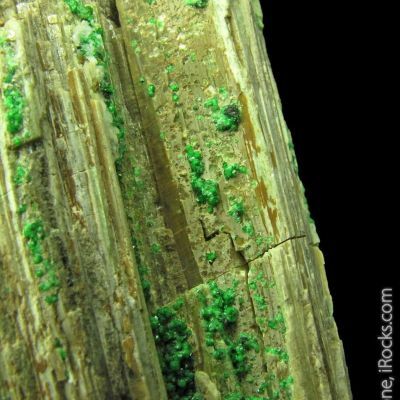 As an old classic, it's not something you see everyday in such competitive quality!